The classic fight boxing expected failed to fully materialise but Errol Spence Jr announced himself on the world stage with the deadly finish which is the hallmark of champions. For the second big fight in succession Brook succumbed to a terrible eye injury. Eight months ago middleweight king Gennady Golovkin sent him to hospital with a broken eye socket of his right eye. This time Spence took away his IBF world welterweight title in part by making the left side of his face resemble a gargoyle. Spence had never before gone beyond ten rounds, Here in the Bramall Lane home of Brook’s beloved Sheffield United, he did the most wounding of his damage in the 10th and 11th. There had always been a concern that after slaving his way back down to welterweight he needed to win early so as not to weaken late. So it proved. Come the tenth Brook subsided onto a knee under a flurry of heavy punches. That put the fight virtually out of his reach on the score-cards. Worse, a swelling had been growing beside Brook’s eye and Spence sensed metaphorical blood. A veritable barrage of heavy blows sent Brook down again. By now he was virtually unsighted in that one eye. So although he climbed unsteadily to his feet again his trainer Dominic Ingle showed relief as referee Howard Foster sensibly called a halt. Brook, in what he calls the final trimester of his career at 31, has acquitted himself admirably through more than 30 fights, Foster’s intervention should enable him to fight another day. Perhaps, at last, against Amir Khan, who was at ringside as a TV commentator. The long awaited ascent of George Groves to a world super middleweight title primed the Sheffield faithful for the entrance of Brook. The 27,000 in United’s Bramall Lane stadium gave a full throated welcome to their very local hero. 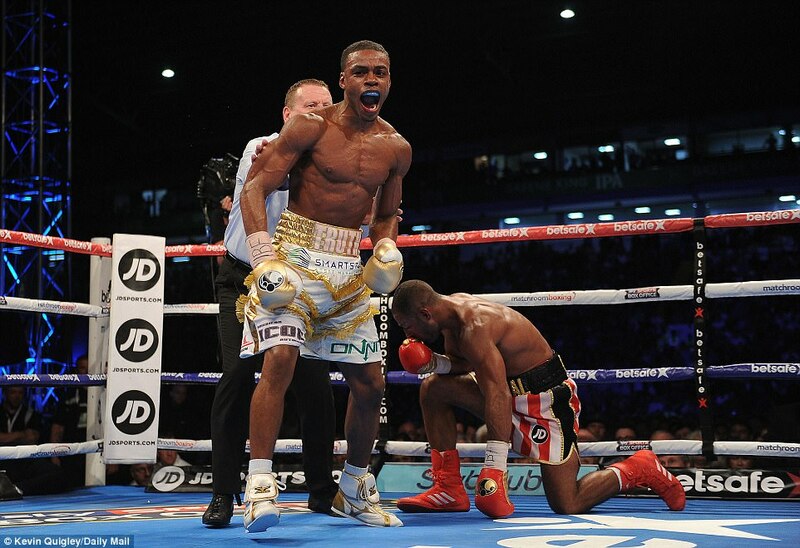 The feeling was that Brook would need all the encouragement they could give him against the brilliant Spence. 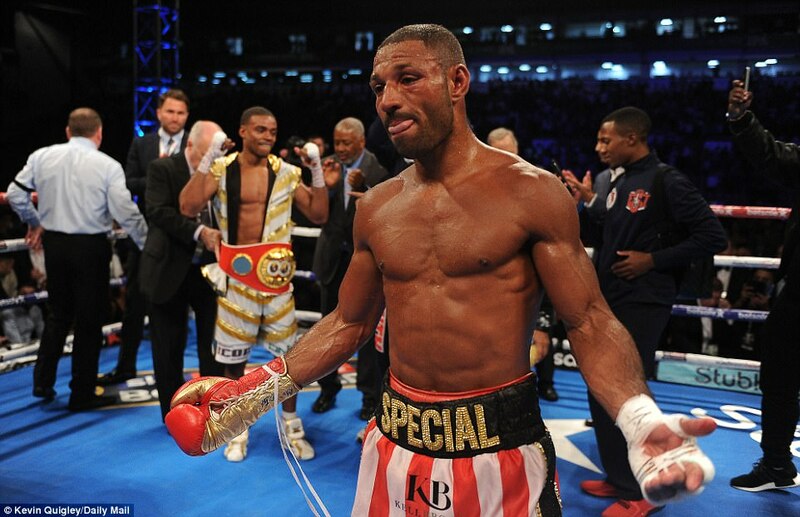 Brook had made this fight his by insisting on coming back down from welterweight to make this honourable defence against the mandatory challenger for his IBF title. There were boos as the presence was announced of Amir Khan – the great British rival Brook still has yet to fight – a ringside commentator. But the roars boomed out for their old knockout favourite, Prince Nasseem Hamed. Naz acted as cheerleader for his heir to stardom in the fabled Ingle gym in Sheffield by giving a pre-fight interview in the ring. The scene was set for a fight worthy of following Anthony Joshua’s epic win over the legendary Wladimir Klitschko at Wembley. The setting may have been somewhat less grand but the atmosphere was just as electric. Brook, following advice of the great Sugar Ray Leonard, took the initiative from the first bell. Leonard had opined that Special K needed to jump on Spence from the start and he did his best. Within seconds he was catching Spence with both hands. 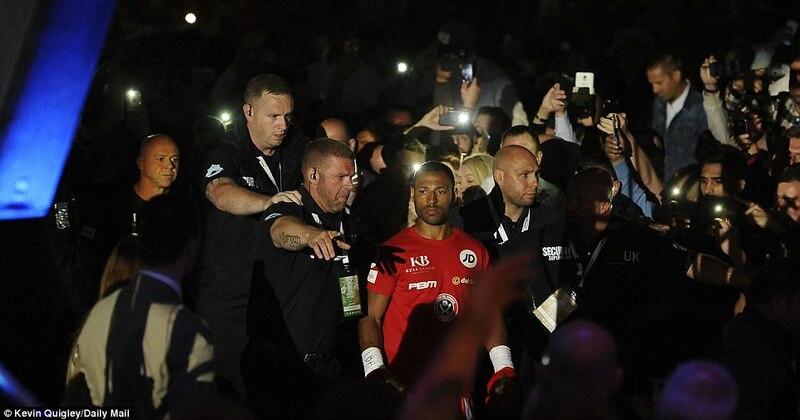 The younger American came back into the round a little but it was an encouraging start by Brook. 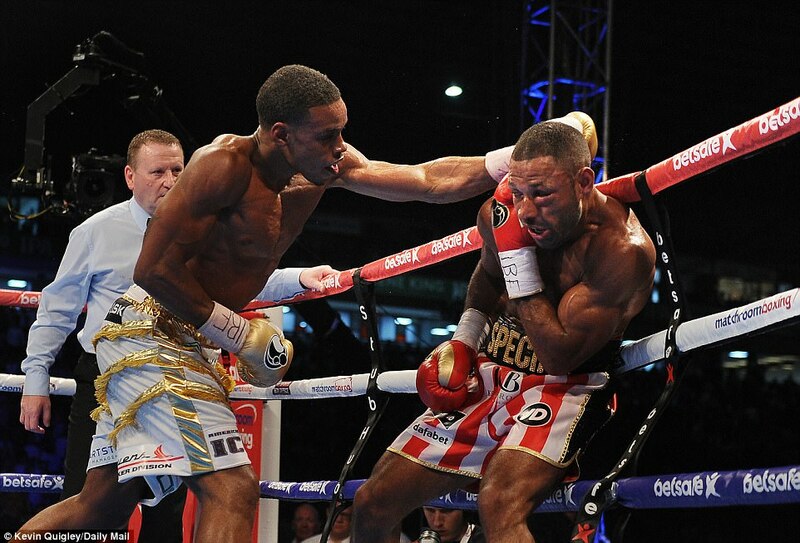 Spence went to pick up the pace in the second but Brook was equal to the task. 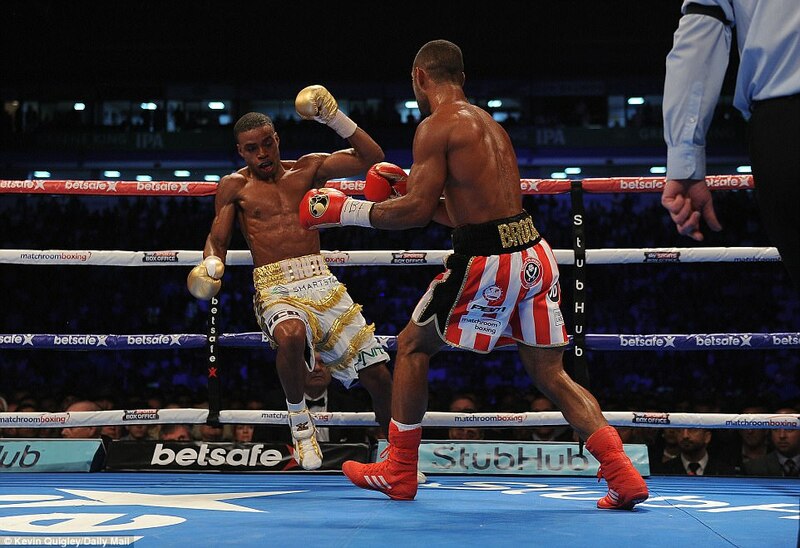 Brook has always fared well against southpaws and he was proving this against Spence. Not all the punches were getting through but he was landing the majority. Spence was spoken to sternly by his corner, having been lectured in a previous round by referee Howard Foster for punching low. The American responded by making adjustments. He used his extra reach to his advantage to ease his weight into the fight. Spence’s speed was continuing to trouble Brook. The styles were not gelling as spectacularly as had been expected, but the American was getting the better of the rather messy exchanges. Come the fifth Brook was beginning to look more static and Spence upped the ante. While the Sheffield man was restricted mostly to single punches Spence was starting to land some meaningful combinations. 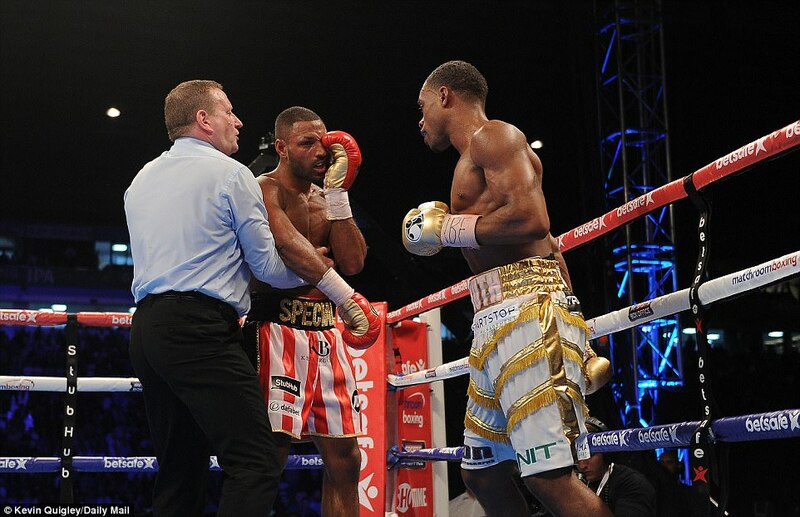 Brook opened the sixth with a statement of intent, a solid right which sent Spence back into the ropes. 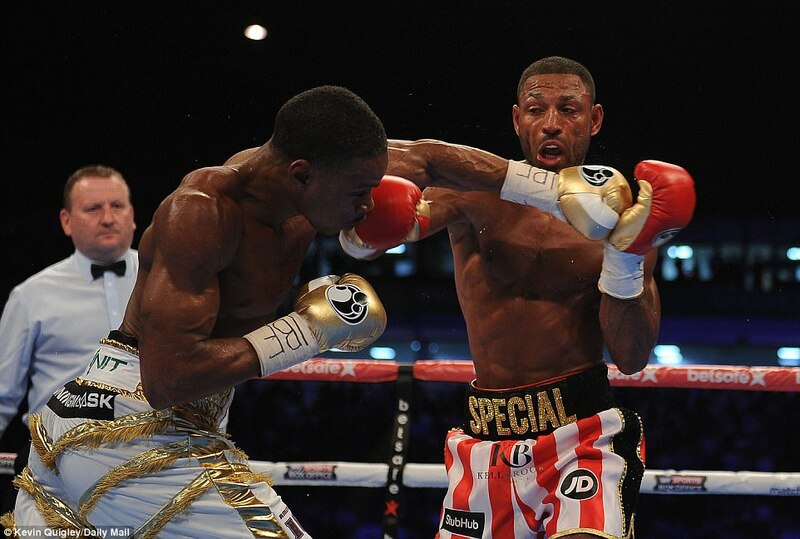 Spence came back to boss the middle stages but Brook finished the aggressor to claim a share of my first even round. If this was going to be the classic we all expected something dramatic was going to have to happen in the second half. The pair of them were largely cancelling each other out and the seventh slipped by with Spence probably shading it again with his faster and more frequent punches. Brook had clearly decided to try and turn it into a roughhouse brawl and in so doing made the eighth his best round of the night so far. There was no question that he rattled Spence with a right left combination. 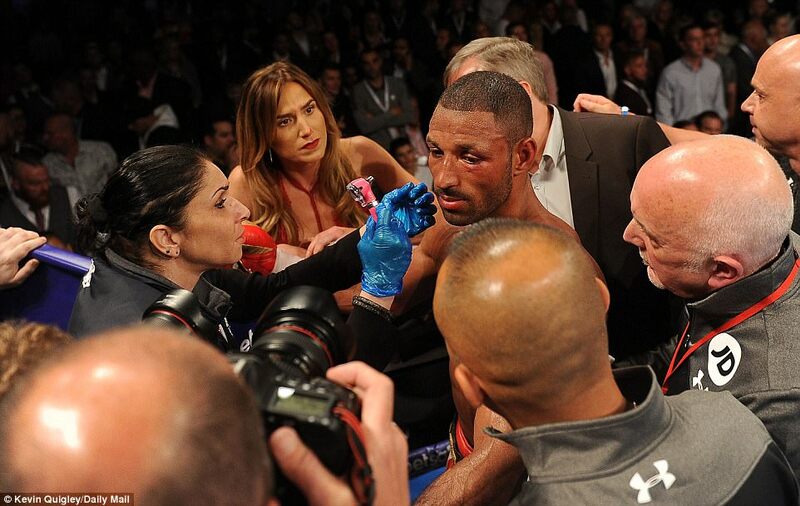 Brook shipped some punishment at the start of the ninth, and when referee Foster ordered a pause for a glove to be retaped, Special K’s trainer Dominic Ingle had to attend to a worrying swelling beside his man’s left eye. 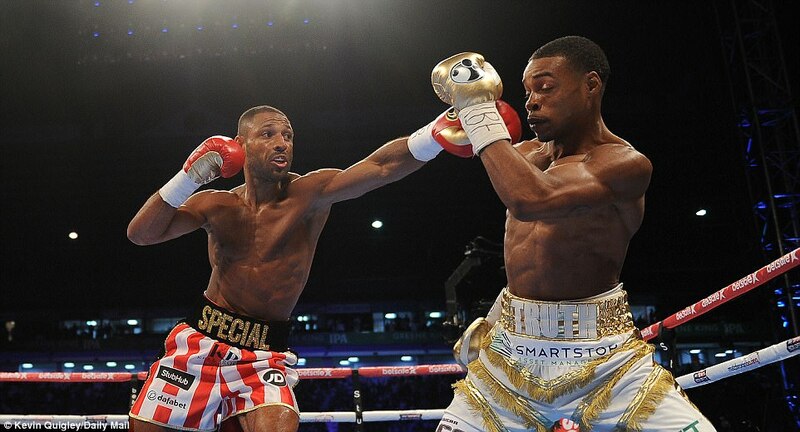 Spence continued to pour it on and although the crowd became excited at something of a desperation flurry at the end from Brook this was the American’s best round yet. The long awaited explosion came in the 10th. 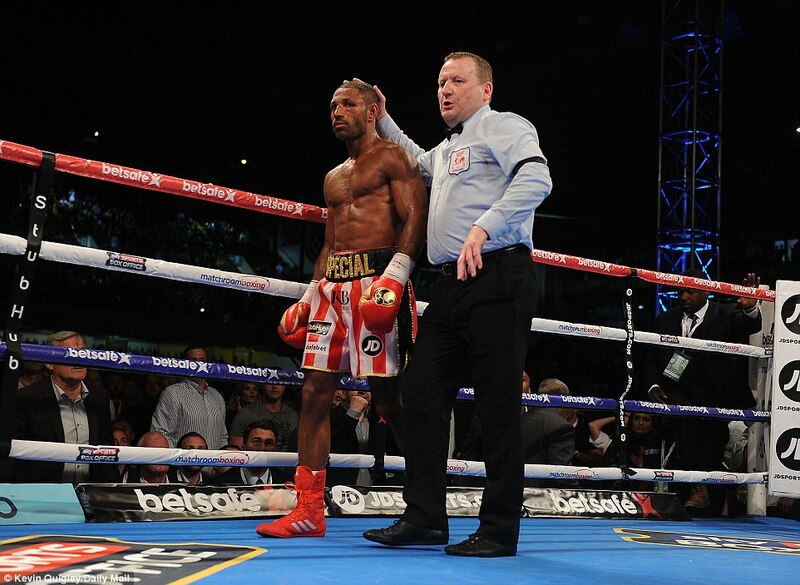 A right left combination sent Brook down onto a knee and as he blinked skywards the left eye was closing fast. 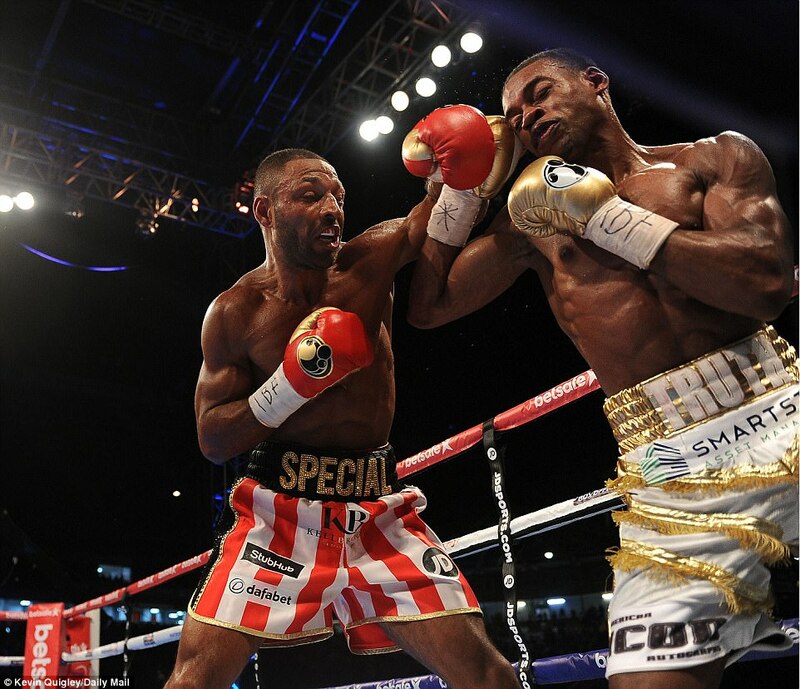 For a moment it looked as if the referee might have to stop it as Spence went for the finish but Brook, all heart, came back unexpectedly in the closing seconds. Still, it was a two point shift on the card. British gallantry was never going to be enough now, least of all with only one good eye. 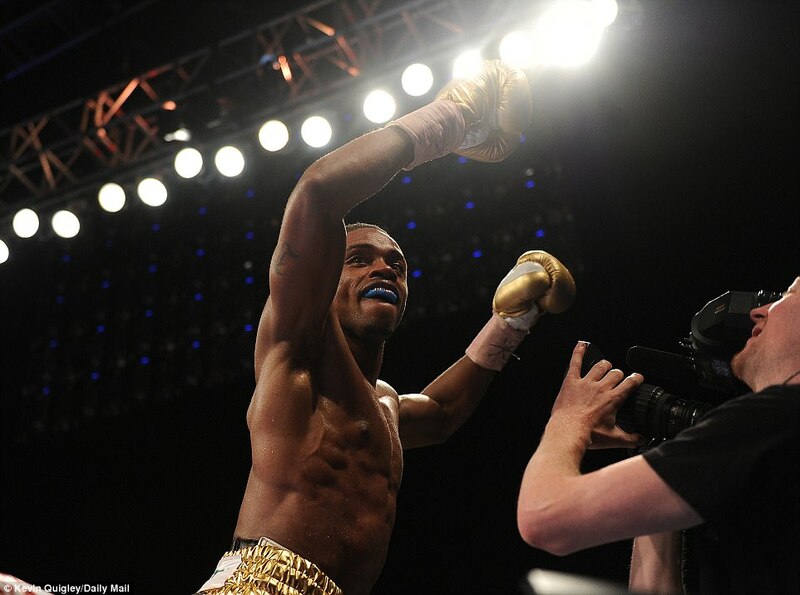 Spence lived up to America’s expectations by going for the finish the way champions do. Brook sank to his knees again under another barrage and both referee Foster and trainer Ingle agreed that he had taken enough.